"We think that patients who are taking lithium treatment now should regularly have a simple urine test to measure the amount of albumin they are excreting, as too much albumin is a sign of kidney disease" said lead author Richard Coward, Professor of Renal Medicine and Consultant Pediatric Nephrologist at Bristol Medical School and the Bristol Royal Hospital for Children and the University of Bristol. "If these patients have increased levels of protein in their urine, they should consider reducing their dose of their lithium or switching medications. We think this could prevent some of them from developing kidney failure. "Our research further suggests that it would be sensible to try and develop drugs that selectively inhibit one of the two forms of GSK3." Earlier studies had suggested that inhibiting GSK3 in the podocyte may be beneficial in treating kidney disease. This is probably due to them selectively inhibiting the ? form of this enzyme. However, this latest research shows that too much suppression of the activity of this enzyme is harmful. 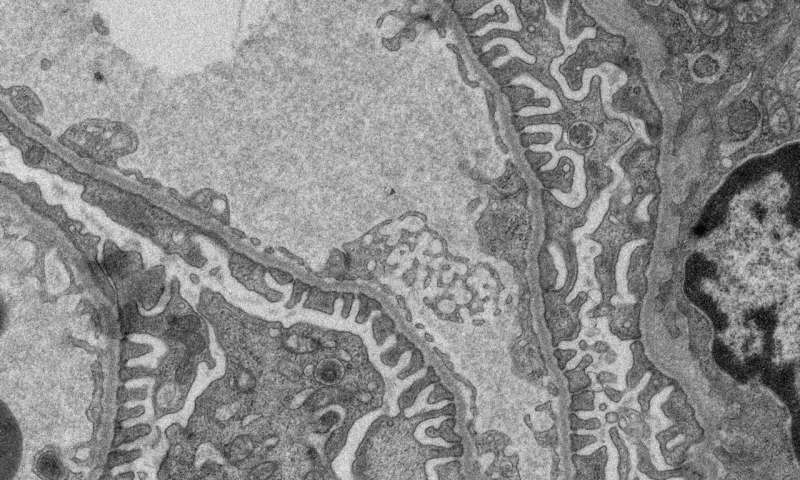 More information: 'Podocyte GSK3 is an evolutionarily conserved critical regulator of kidney function' Nature Communications (2019).